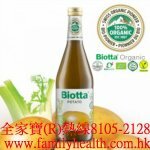 Biona cider vinegar is made from fresh, cold pressed organic apple juice. To protect the valuable enzymes, aroma and full fruity flavour, our vinegar is not heat treated or pasteurised. Any natural cloudiness or sediments do not affect the quality of this product. For an invigorating tonic, mix 2-3 tablespoons of Biona cider vinegar with honey in a glass of water. Pressed organic apple juice naturally fermented with vinegar 'Mother' and aged in wooden casks. Raw and unfiltered - this premium live vinegar is packed in green glass to protect from the light.